Hriday Ch Sarma is a Fellow at Polar Research and Policy Initiative, with a focus on India and the Polar Regions. He is a PhD candidate in the Energy Studies Programme at the School of International Studies, Jawaharlal Nehru University, India. He holds an MA and MPhil in International Relations, and has completed advanced diploma courses in international law and environment management. At present, Hriday is working as a Visiting Research Fellow with the Institute of Defence Studies and Analyses, New Delhi. 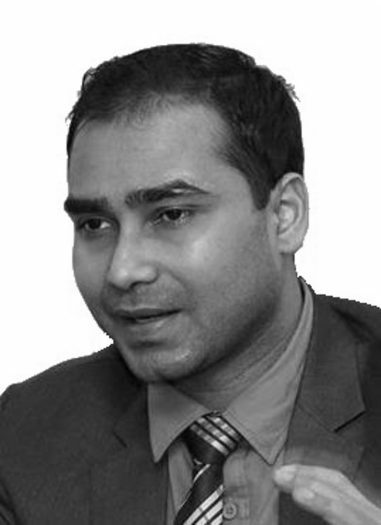 In addition, he is a Fellow at the South Asia Democratic Forum, a Brussels-based think tank; India-Rep Business Development Manager with Squawk Advisors, a Chicago, US registered consultancy; and Research Scientist and Project Consultant with Polo Centre for Sustainability, an Italy-based organisation. He heads a non-profit organisation, Center for South Caucasus-South Asia Business Development, which works in the direction of establishing market integration between the two regions. In the past, Hriday worked with a few reputed institutes on various aspects of project management, including but not limited to liaising with private and public agencies, policy advocacy, and operations management. He worked as India Manager for the Climate Scorecard Project, an initiative of EarthAction and Global Citizens Initiative (TGCI); Visiting Research Fellow with Institute for National Security Studies, Tel Aviv, Israel; and Visiting Research Fellow with Center for Analysis of Economic Reforms and Communication (Baku, Azerbaijan).